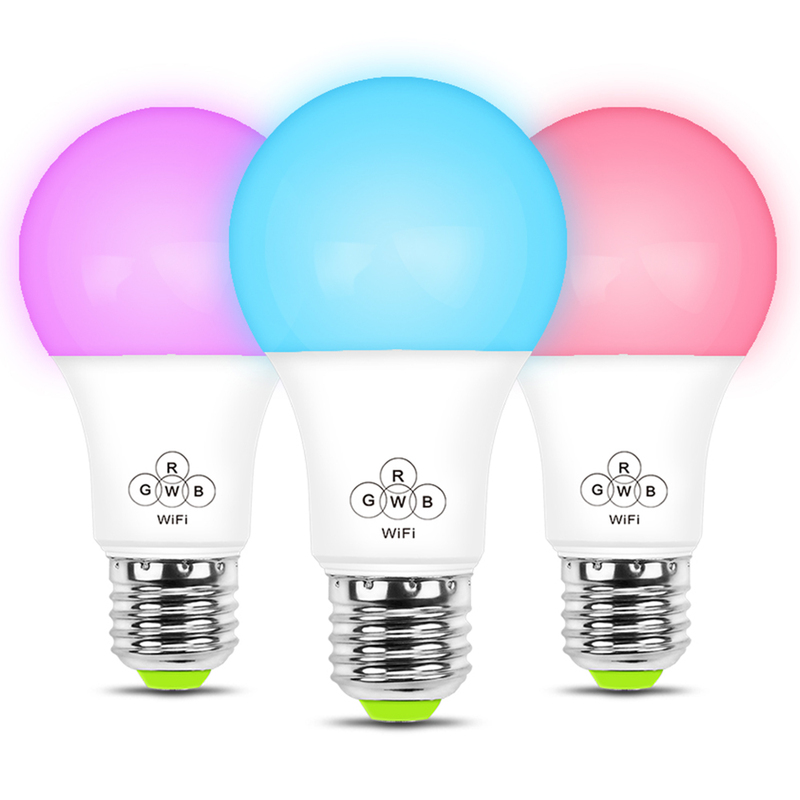 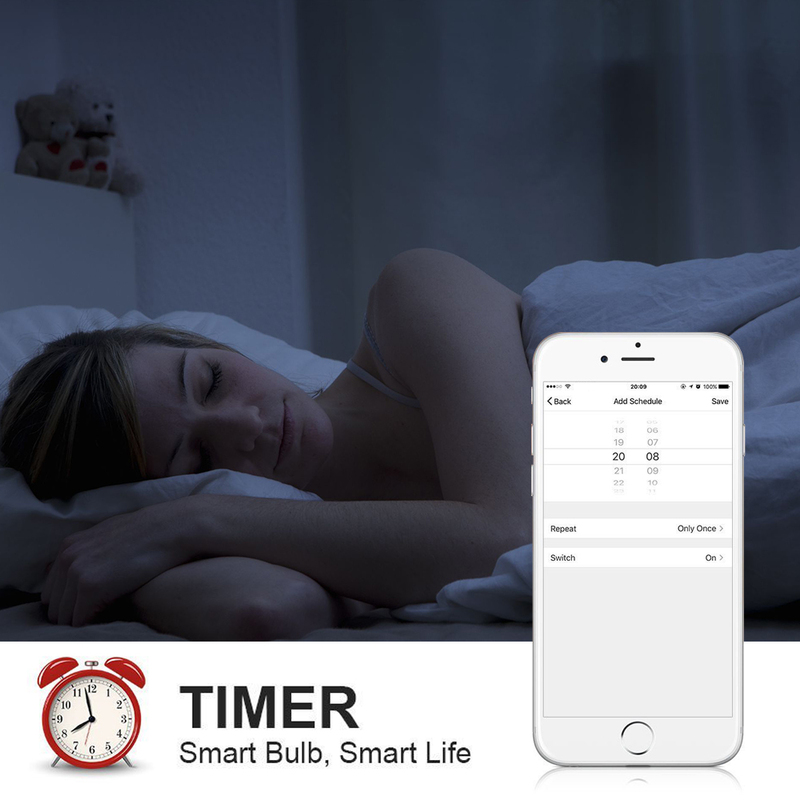 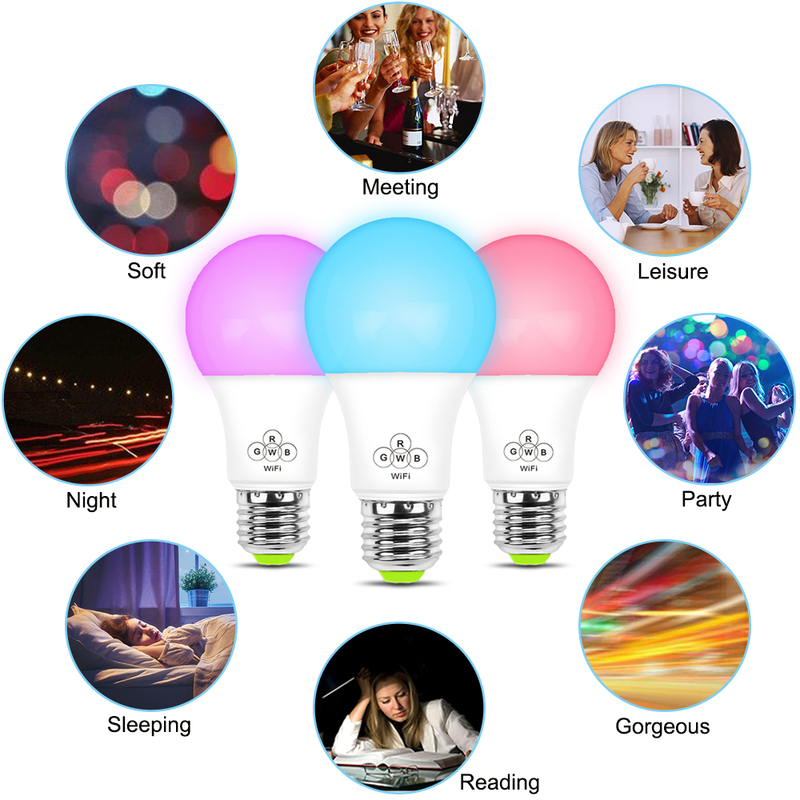 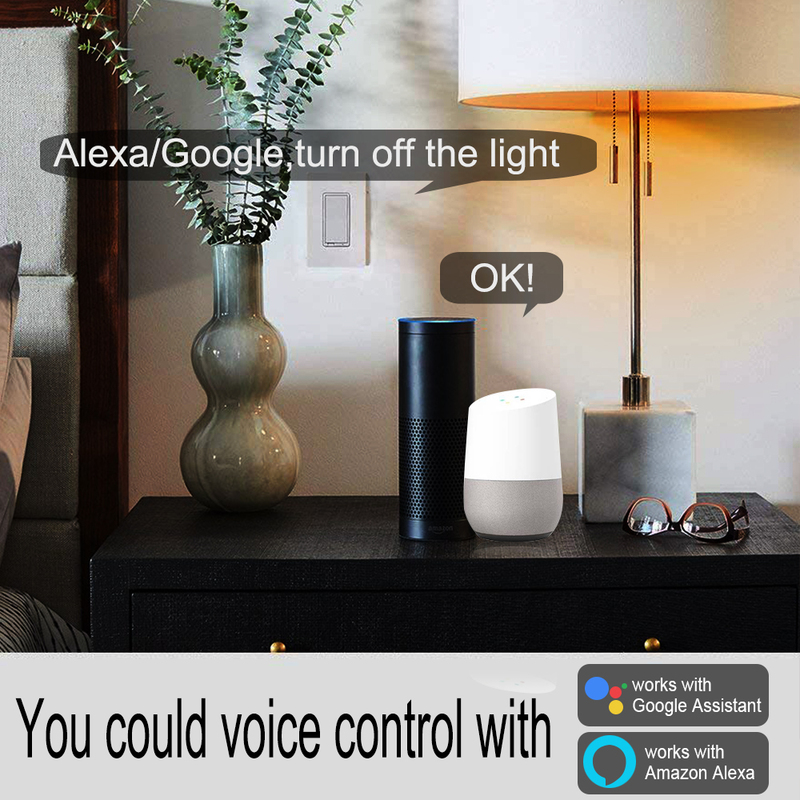 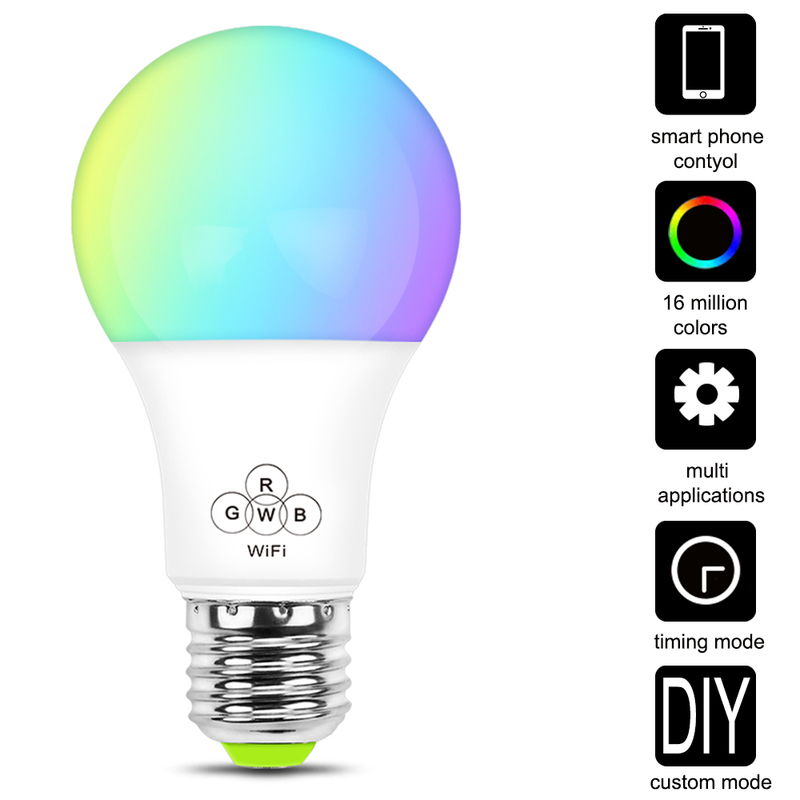 Voice Control ：Control your bulb compatible with Alexa and google assistant,Just wake up your Alexa or Google Assistant and you can change the switch, color, and brightness of the light bulb. 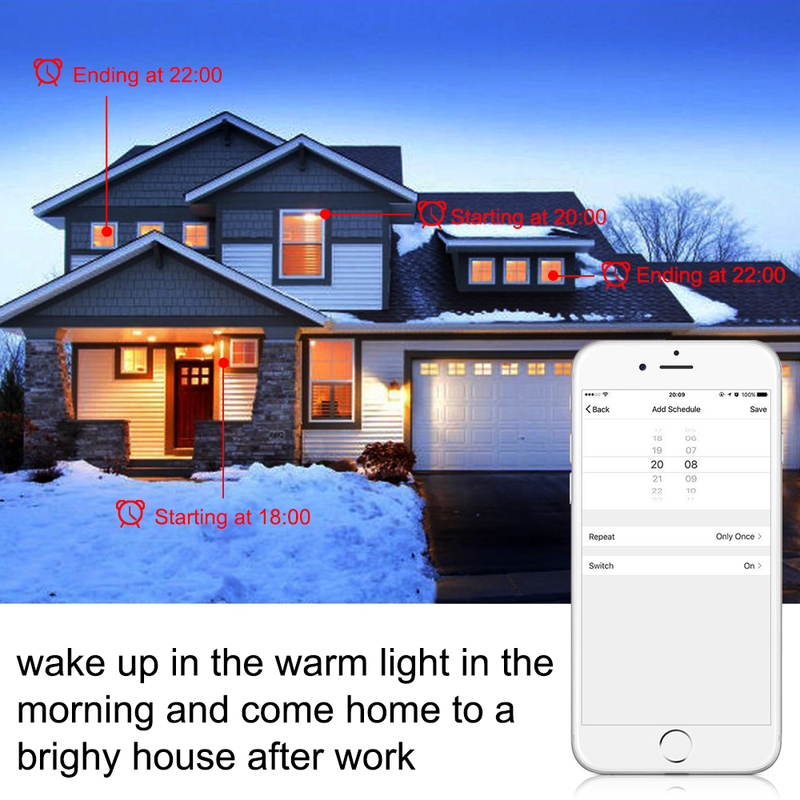 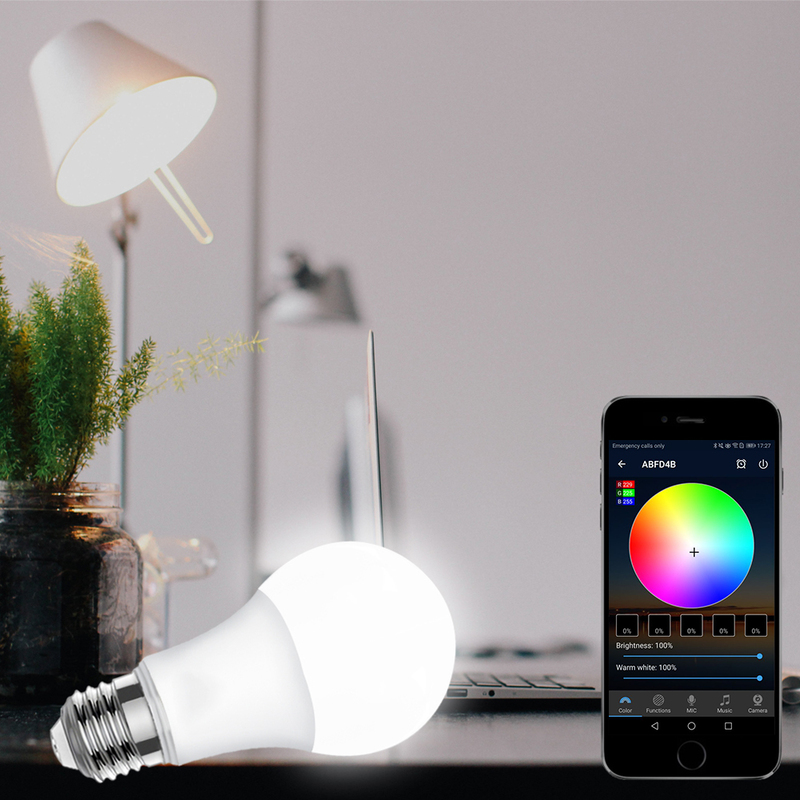 Let you feel the convenience and cool of this smart light bulb.From then on, let your home enter smart lighting. 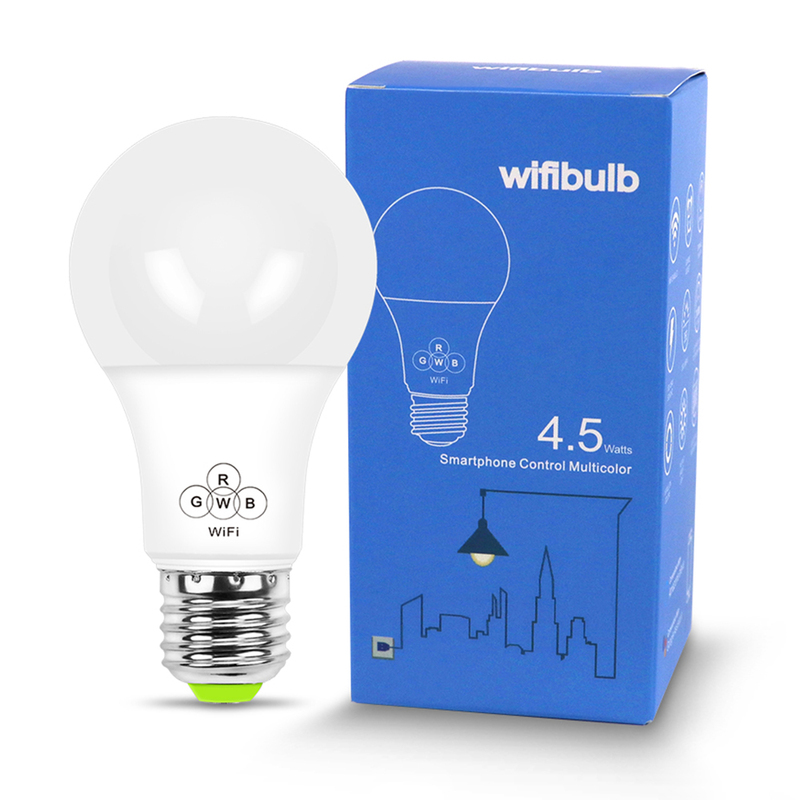 No Hub Required : This is wifi bulb, No Hub Required,You don't need to pay more to buy a hub, just connect it to your home router and you're ready to go.If you don't have a router, it doesn't matter, it can be directly controlled to the phone.And this is an LED bulb that has a long life and power savings. 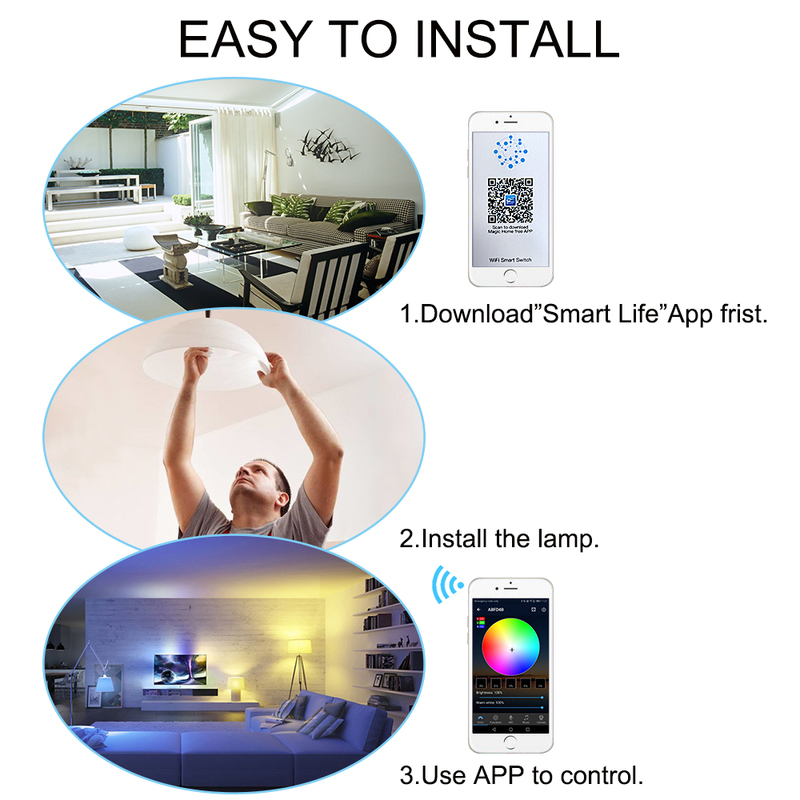 Let you no longer worry about the electricity bills brought by lighting. 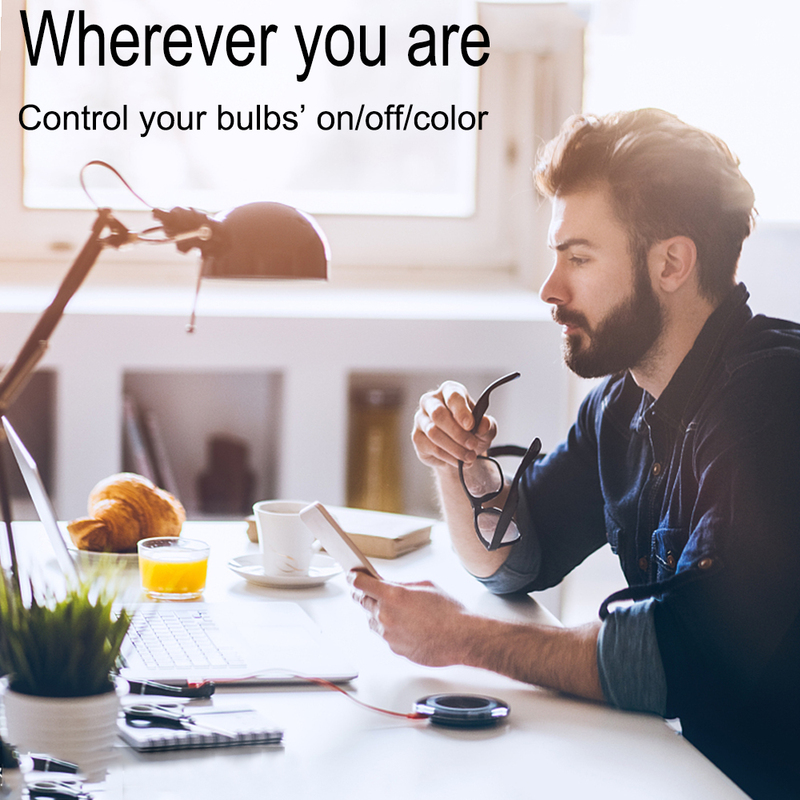 Remote Control：Just connect the light bulb to your router and connect it to the network.You can use smartphone app turn light off/on your bulb from everwhere anytime.No longer need to worry about forgetting to turn off the lights, use the phone to remotely control the light bulb to turn off.Before you go home,Remote control courtyard lights and door lights open. 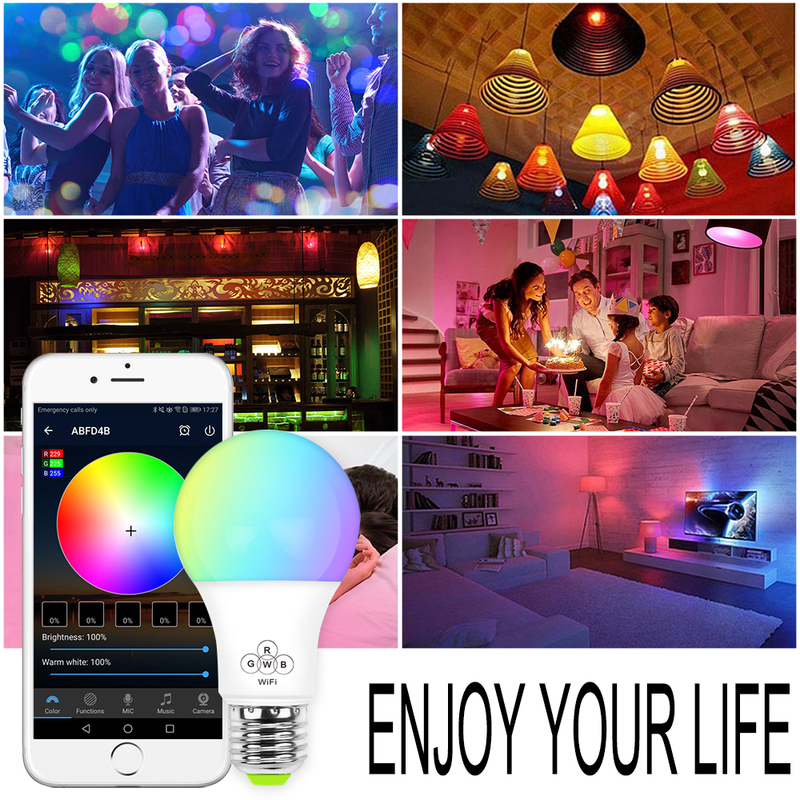 Extensive Applications: Use Music Sync on your party，Sync light to your favorate music and enjoy every beat, it is cool that the light dance to music. 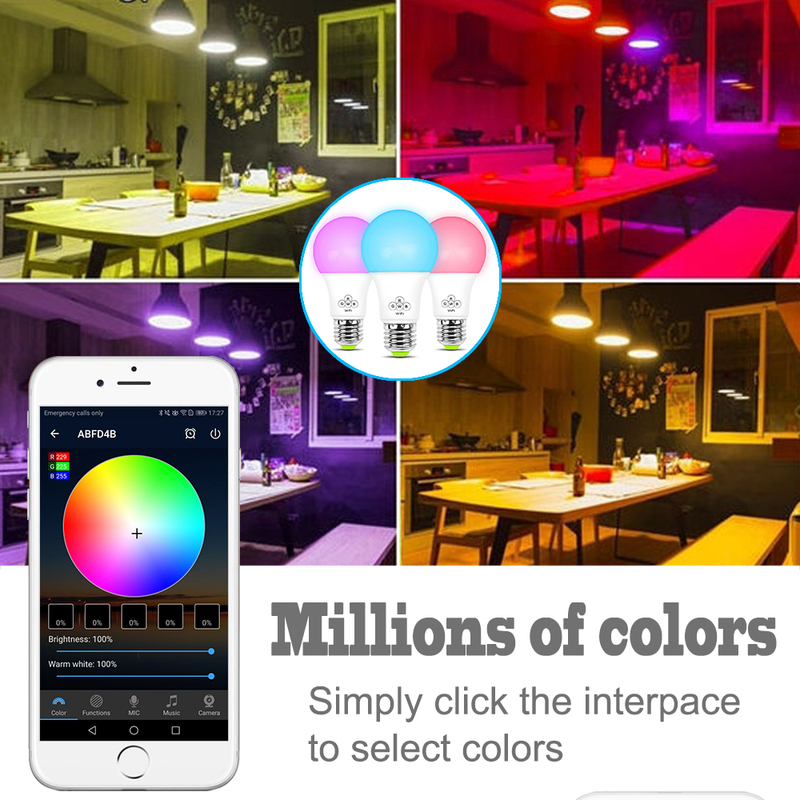 Creat a relaxing ambiance, it will wows your guests at your home party.Multiple lighting pattern, suitable for bedroom,Living room, Kitchen, Desk lamp, Bar, Hotel, Night Clubs, Wedding decorations, Party.